CAN YOU REALLY start a blog and Making Money Online? It’s true. I’ve turned a blog that started as a passion project, into an online business that makes me money and is aligned with my passions and goals in life. I wanted to be more creative and I wanted to spend more time with my family. With this blog you are on, I do just that! It took less than 6 months before I started seeing income and less than 2 years before I quit my job (a career I’ve grown for 15 years) to take this thing full-time. I started this website you are on as a hobby. It’s since made me thousands of dollars and has become a full blow online business for my family and I.
Here’s the exact ways that I make money online with my blog. Which leads me to note that this Blog post contains True stories and links to items I’ve made to help you learn and for products I actually use (using my affiliate links below). DOES MAKING MONEY ONLINE TAKE A LOT OF TIME? It can if you let it. But, my goal from the very beginning was to do this in a way that was “passive income”. What is passive income? It’s a way to make money online while you sleep, without much effort except the initial effort to set up the strategies and general social media marketing.. So, with passive income in mind, I eventually started creating digital products, like stock photos and online courses, and selling those. You can poke around and learn more about what I do, but the income we receive on this blog comes from multiple channels. 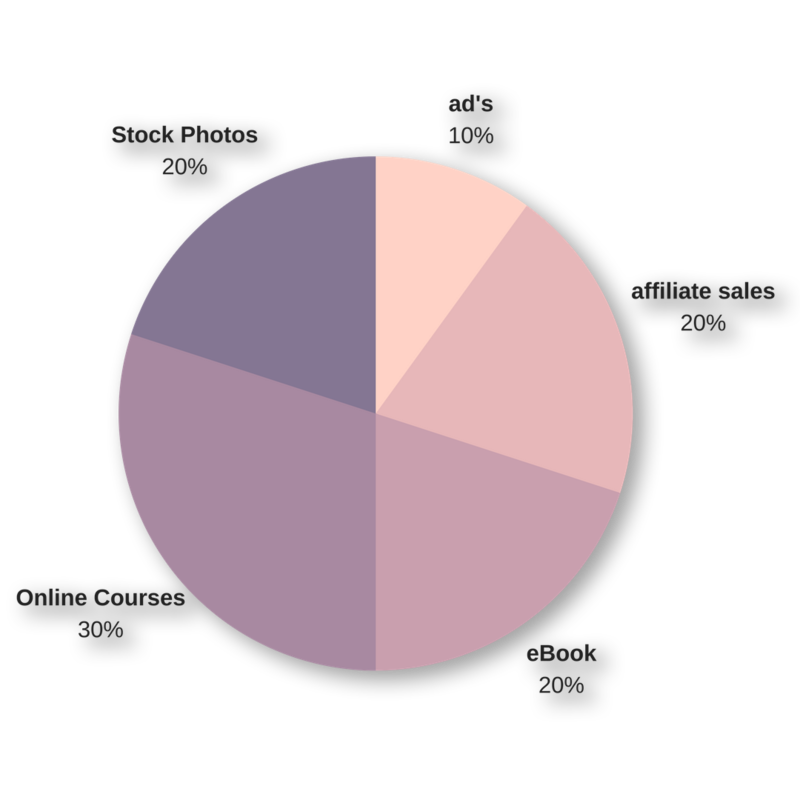 It started by selling ad space, then as things changed and I learned a bit more, it grew to create products (online courses & stock photography). and the list goes on and on and keeps growing and growing.. The thing is, you don’t have to have it all figured out to get started. That’s the beauty of blogging. There are a ton of free resources out there to help you learn what to do, and when to do it. So, if you’ve been wanting to learn how, there is no better time than now. You can KEEP READING and go through THE STEPS BELOW to get everything set up, then find more information at the bottom about how to turn your new blog into an online business. 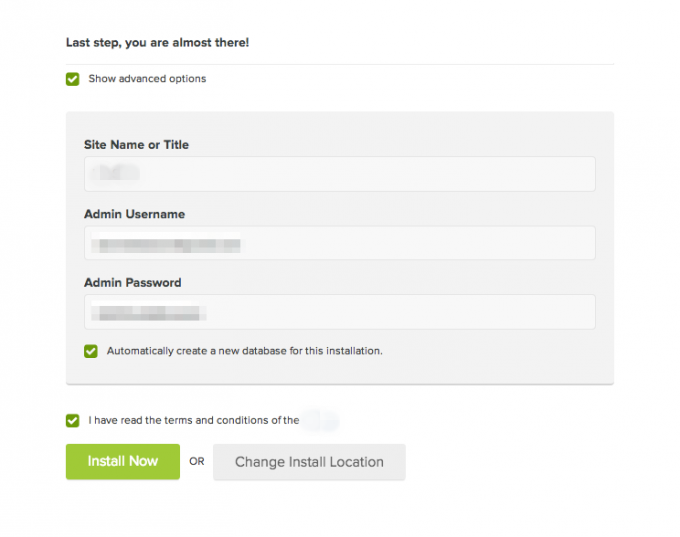 The following steps will illustrate how you would start a WordPress blog using a webhost. 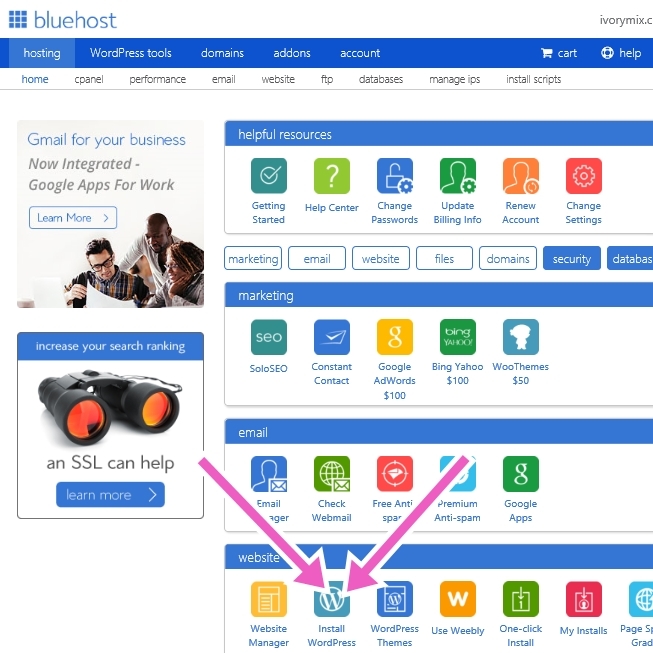 Once you find a domain name, by clicking on “Shared Hosting” on the BlueHost Top bar under “Hosting”. This is where you choose to host your website and choose a domain name. A domain is what your website and blog will be called. 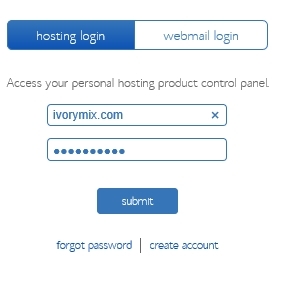 (example: myblog.com or my domain name is ivorymix.com). Shared Hosting is a great way to start a blog and share a server where your blog and other blogs will be stored virtually. 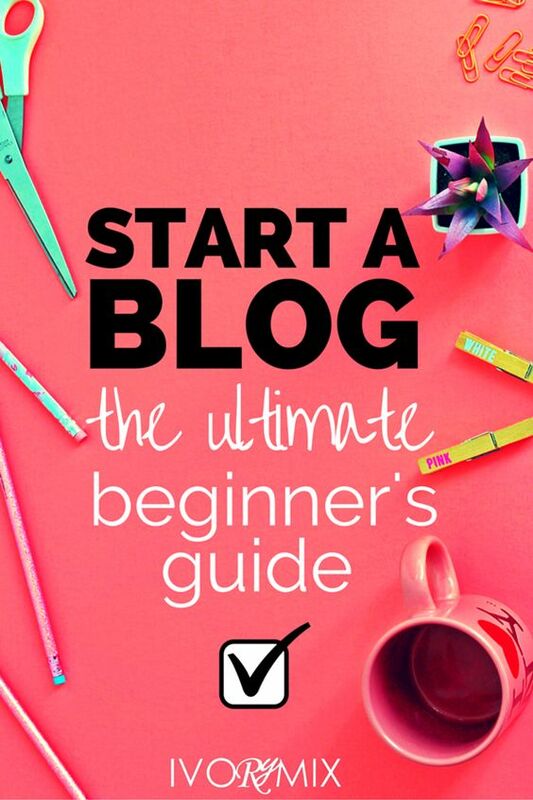 It’s a great place to start for beginners while it gives you a chance to figure out this blogging thing. It’s probably the least expensive option and you can always upgrade once your blog grows. Once you’ve decided on your domain name, you’ll need to check its availability, buy it, and set up the hosting for it. Setting up a web host with Bluehost gives you a place to store your blog and all your content on their servers. To skip the comparison, I’d like to recommend you get your first blog hosted at bluehost. This next part is important so that Bluehost knows how to contact you and bill you the small about their going to for the purchase of the domain and hosting. So, fill out the contact and information form and simply scroll down to pick a package for hosting next. The next part before finalizing the buying of your domain and hosting it is choosing the hosting package. There is nothing wrong with choosing one of the starter packages because you can upgrade at anytime. Choose whatever seems appropriate for you and your budget, but don’t over commit yourself. Once you’ve picked the package, you only need to fill in those digits for your credit card and hit submit! It’s super easy and that simple! Once you’ve completed steps 1 and 2, you will need to install WordPress. WordPress is a specialized program for managing your website. It contains easy to use tools for managing and creating your blog and website. Like I said, its user friendly, easy to use, and you wont need to know any code! Enter the username & password you just set up. Bluehost will go through some steps of verifying your email and getting you confimed. Once you’ve confirmed your username and password, go to the bluehost login screen and login. The CPanel and Bluehost home pages are where you will manage everything related to your bluehost account and your website. From this dashboard and CPanel, you can find links to more tools than you may ever use. The window that comes up next gives you options for paying for someone to set up your wordpress for you, but its so easy, you probably won’t need that. You can just click INSTALL because doing it yourself is easy and free! 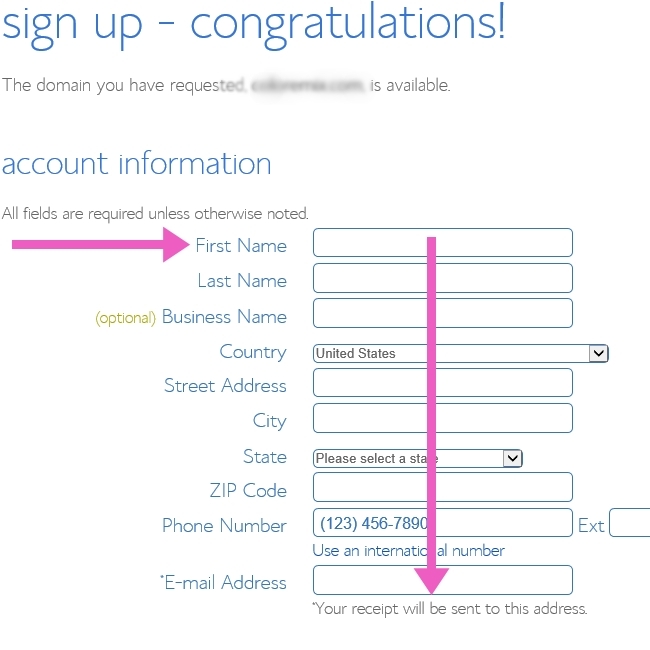 Just finalize this last step below by filling in your site name and username and password information. 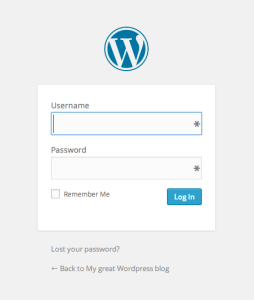 Once you’ve completed the final step, follow a link in your email to log in to WordPress. Blue host is going to email you a link to login to WordPress. Click on the link in your email to login and you should see the screen pop up like it is shown below. Fill in the admin username and passwords that you set up previously. Choosing Your Niche and/or Target Audience:You may be asking if you need a niche right now? Or you may already know emphatically what you will be writing about.Either way, you will eventually conclude I see many new bloggers realize in their journey, and that is you simply cannot properly turn a nicheless blog into a successful business without a targeted reader and a clear idea of what and how you will attract readers and keep them interested.Having a niche and a target reader is not necessarily the same thing, but understanding the difference at this stage is important for your future success.Pro Tip! Being extremely specific about your niche and your targeted customer will make you more of a “go-to” person and website for them. Having too many topics and products can dilute your earnings. Take a careful look at your goals and how you will stand out in a crowd. What is a niche?A niche is a category much like photography or sewing, but it can get even deeper into micro-niches, like Dog photography or Sewing for Doll Makers. What is a Target Reader / Audience?A Targeted Reader is establishing the characteristics of the person you are writing for, what they like, where they shop, how they dress, and more.A targeted reader could be someone who likes both photography AND sewing. So, in this case, if that person was your reader, you might have what is classically known as a “nicheless” blog. Why you should consider both before you start a blog:Having a niche and a targeted reader relates a whole lot to what you will write about on your blog, how your blog will be organize, how you will make money, and how you will keep your new and old readers interested over time.The one way we bloggers keep readers interested over time is by writing content over and over again that is related to each other and leads readers from one thing to the next. This type of blog content helps with making money from affiliate links, products and ads because the more your readers are jumping around your blog, the more likely they are to find something interesting, subscribe to your email list or purchase a product from you.The nice thing about establishing your target audience and a specific niche is that you eventually learn what works well and what doesn’t for you, which increases your income more and more over time. Get your Pro-looking website: There is so much that goes into building a website and organizing blog content, but before you build that content, you should have the basic framework of a professional looking website.Most websites and blogs have four main areas. These can be set up to show on every page or post, but they can also be set up to disappear on certain pages. For instance, a side bar may be appropriate when a reader is on a blog post article, but I don’t necessarily want it showing when a reader is on my “about” page. These decisions are a personal choice and can depend on your chosen blog theme, your individual style, what you are trying to accomplish with your blog, and your type of reader. Now that you have a good understanding of the key areas to a website, you’ll want to decide how you will fill those areas, what colors they should be, what fonts to use, if you want your sidebar on the left, on the right, or on at all. The best place to start is by choosing a theme. You can choose a free theme fairly easily from the “Appearance” section on your wordpress side bar under “Themes”, and many of the free themes offer some customization options for fonts, colors, and location of certain elements. These free themes do have limitations for customization, but as a beginner, this would be a great place to start. Once you’ve found a theme you want to customize, you should check out the customization options. The more it has, the better. At the very least, you should have an organized top menu and keep your website uncluttered. You’ll figure out your own design, colors, and more over time. Keeping it simple and have an organized menu. You can modify your top menu within your WordPress dashboard under APPEARANCE>MENUS. WordPress makes this very user friendly so that you can simply drag and drop different elements into your blog menu. Beside the 4 key areas of your professional looking website, you’ll also want to make sure your website theme is mobile responsive. This means it can be easily navigated on different mobile devices, like a tablet or smart phone. Making sure your site is user friendly will get you better quality traffic for longer periods of time. Share your URL below and have your bloggers test it out for you. Having a professional looking website with crisp images and a mobile responsive theme will make your users stick around. Long loading times and bad web design will turn people off and cost you money. Make sure you spend the time and money to make it great! Grow Traffic, Build a community, Develop Schedules, and Make Money! In this free 5-day email course, we cover a lot of ground and you get to keep all the information and use it as you need it in a self-paced way. 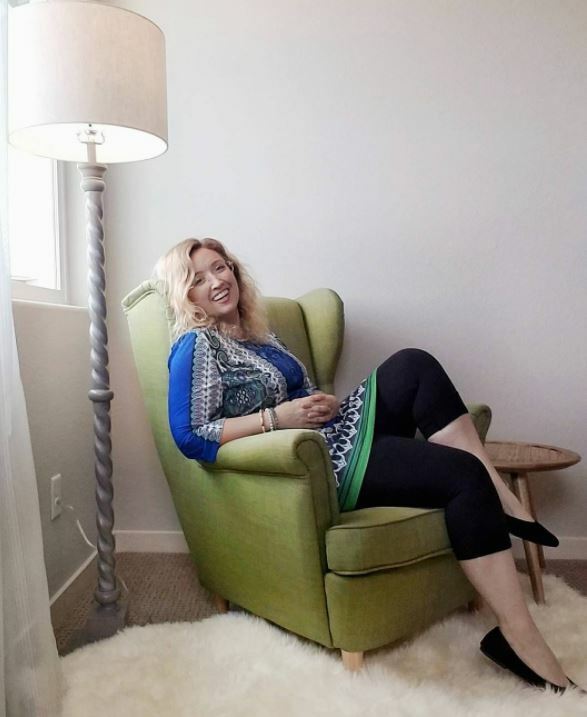 What is it Like to be a Successful Blogger , WHO MAKES MONEY ONLINE? Which generally means that a lot of the content you read about on blogging is false and untrue– which isn’t helpful by any means to those who actually make money with an online business, like ours. What would be useful would be to hear what being a successful blogger is actually like. What is it like on a day to day basis? What are the positives and negatives of making money online for a blogger and business owner? One of the reasons that a lot of people want to become successful bloggers is because they think it’s a completely work-free, stress-free job. Of course, this is so far from reality, I could hit myself from nearly 10 years ago, because that’s what I thought too! While it’s true, running a blog is definitely much easier than working 9-5 , you shouldn’t think that you can just relax all day with a blog as your business. If you want blogging to be your full time ‘career’ then you need to treat it as such and you need to work ‘full time’ on it. The best advice I received was to work 59 hours a week. Forty is just enough to get by, and you know what? It’s true. But, it doesn’t matter because the work is the passion and doesn’t seem like work at all. That said, this is definitely a ‘leisurely’ 59 hours. You can probably get away with 5 hours a day with the TV on… But if you ignore your blog you’ll see your income wane. Blogging can be a lot less stressful in many ways than having a boss breathing over your shoulder but it is still a little stressful. One of the sources of these stresses is simply the fact that you won’t want to lose your fortunate position. So, that’s why I don’t rely on advertising or affiliate links. It helps, as a blogger, to be smart and make sure your business is resilient and diverse with products you create yourself too. For me, my products are mostly photos. Yes, I sell photos from my blog and it pays my bills. I guess at this point, I should introduce myself? My name is Kayla Butler, and I’m the Stock Photographer, Blogger, and Owner of Ivorymix.com. I started blogging around 2010, because much like you, I was curious what it was all about. 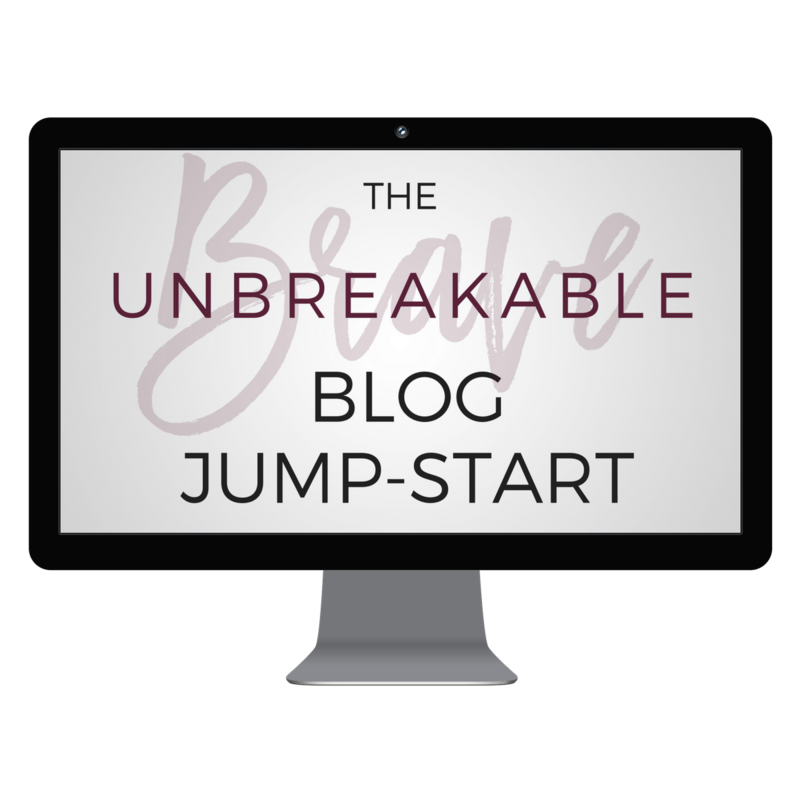 If you’re curious what blogging is like, take the 5-day Jump Start today by joining below. FREE, 5-DAY BLOG JUMP-START EMAIL COURSE TO HELP YOU EASILY CREATE, MANAGE & PROFIT FROM YOUR OWN BLOG. 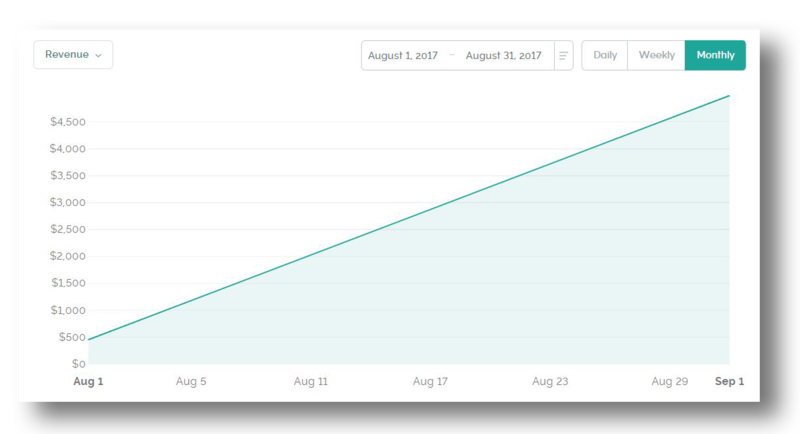 Learn what it takes to grow traffic from day one and build a community. But, who will BUY YOUR FIRST digital product? 10 Ideas for Create Digital Products that Sell! 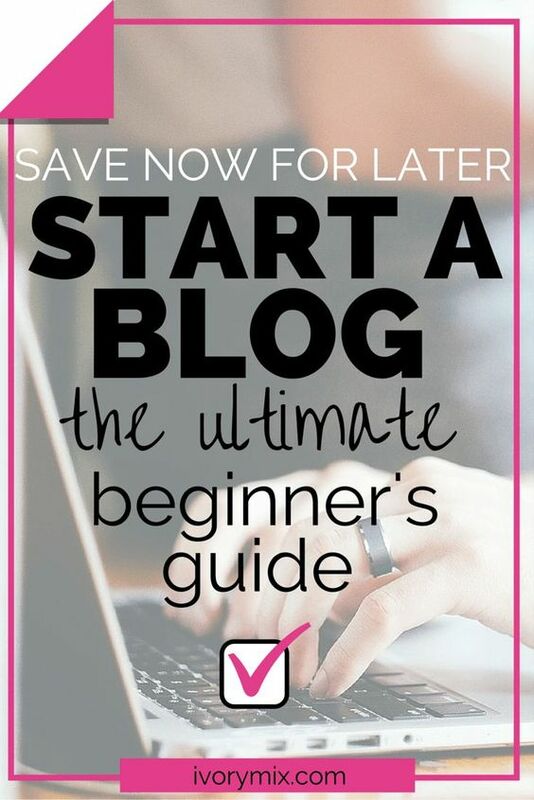 Note that, as mentioned above, this Blog post contains true stories and links to items I’ve made for you to learn how to start a blog, and for products, I actually use to run my own blog (using my affiliate links).